I hope you guys like rivalries. I was thinking the other day (shocker) that we are on the verge of a legitimately historical sports rivalry. Haters, start your engines. If things pan out the way they should, we will once again be seeing the Golden State Warriors and the Cleveland Cavaliers in the NBA Finals for the third consecutive time. This isn’t a given yet but it sure does look that way. Without looking, do you know the last time the same two teams made it to the Finals in back-to-back-to-back years? I didn’t either so I looked it up. 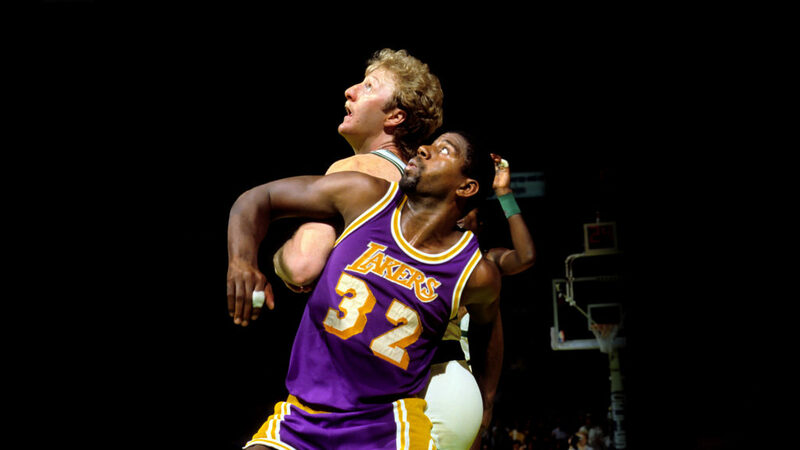 I immediately thought it would be the great Lakers-Celtics rivalries of the 1980s… but I’d be wrong. Both those teams never made it to three consecutive Finals to face each other. Someone like Houston or Philly or Detroit always got in the way. The great Bulls teams of the nineties, who won six titles over eight years, never played the same team three straight times. The late 2000 Lakers only played the Celtics twice and not in back-to-back years. The great Spurs teams of late never made it to three straight Finals. Even farther back than that, the great Celtics dynasty of the 1960s never played the same team in three consecutive Finals. That’s right, my friends, we are on the verge of history. NEVER in the history of the NBA Finals have the same two teams faced each other in the Finals three consecutive years. The glass half empty fan says that’s because the talent in the league is watered down. The glass half full fan realizes we are on the verge of something special. Say what you will about the quality of play in the league. 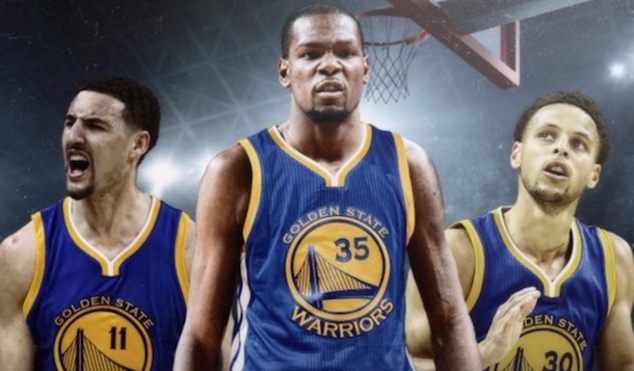 If you stick either LeBron James, Steph Curry or Kevin Durant on any title team in history, they would hold their own. The same can be said for Klay Thompson and Kyrie Irving. LeBron is an historically great player (making his Cavs great) and the Golden State Warriors are an historically great team. I think we’ve established that much by watching them rattle off 73 wins last season and a relatively quiet 67 in 2016-17. In other words, the NBA is about to witness a good grudge match the likes it’s never seen. Sure, teams like the Lakers and Celtics and Pistons used to beat up on each other year after year but that never happened in back-to-back-to-back years, which I still find surprising. That fact alone should not attest to the lack of talent in the league but rather how good these teams really are. In Marcus Thompson’s recent book Golden, which I’ll be posting a review of shortly, he cites Tracy McGrady. McGrady implies that Curry’s greatness is due to a watered-down league. That doesn’t tell me McGrady is a shrewd student of the game. It tells me is that McGrady is slowly becoming one of those old crotchety players who likes to talk about how good things were back in the day without recognizing how good some of the modern players are. I watched Steph Curry in 2015-16. It was one of the most impressive seasons I’ve ever seen. Look, there is always going to be good basketball and bad basketball. There will always be good and bad teams. The question is whether, year after year, we will see greatness. I think we can all agree that these Golden State Warriors, who in the last three seasons have won 67, 73, and 67 wins in back-to-back-to-back years are historically great, even though they only have one title to show for it… so far. They’ve played in a pretty stout Western Conference (San Antonio, Memphis, Clippers, Houston, Oklahoma City) and have quite often embarrassed their opponents, i.e., last year they beat the Memphis Grizzlies by 50. The Cavaliers might not be a great team but they have a transcendent player who is a Finals machine. At 32, LeBron James already ranks in the top five in post-season assists (he’s not a point guard), steals (he’s never won a Defensive Player of the Year Award) and points scored. This year, he’ll pass Jordan for first place. Oh, and he’s 7th overall in career playoff rebounds. So, to the Tracy McGrady’s of the world, before we go all things were so much better in the day, it might be time to truly appreciate what we’re watching. We haven’t seen this in Major League Baseball since the 1920s, when the New York Giants and Yankees played in back-to-back-back World Series. We’ve never seen it in either the NFL or NHL. That speaks to either parity or greatness. What it does say is that it’s incredibly difficult for a team to make it to a Finals in back-to-back-to-back seasons and even more difficult for two teams to do so, considering we haven’t seen it in any major sport in almost a century. So, embrace it, sports fans. This has all the makings of a great rivalry. It might not the Finals you want to see but it will be historic and that much is undebatable. This entry was posted in Featured, Hardwood and tagged Cleveland Cavaliers, Golden State Warriors, LeBron James, NBA, NBA Finals, Stephen Curry by Chris Humpherys. Bookmark the permalink. Those Bulls teams may not have played the same team in the finals back to back, but they did play the Cavs every year in the playoffs. The unfortunate soul charged with defending Michael Jordan was Craig Ehlo. Craig went to elementary school with my best friend, and all I can say is he must have had a major growth spurt in junior high. In all their class pictures, my friend is taller than he is. Only last year, Beag, were the Cavs finally able to exorcise those Ehlo demons. Like the Red Sox and Cubs winning a World Series after all those years, the Cavs finally got to put it all behind them, making it all worthwhile. They should enjoy it while it lasts for LeBron is a once in a lifetime player. My nephew asked me about this very subject yesterday. I told him I didn’t think so but never looked it up. Thanks for handling the heavy lifting. LeBron’s 8th in a row, assuming he makes it, is insane too. Probably done by Russell or some other 60’s Celtic, but never on two teams. Ironic that the definitive play of his career is on that side of the ball. Apparently the same three teams (I forget who) faced off against each other in three straight Stanley Cup Finals back in the 1950s. But still, that’s quite a stretch. Yea, I like that LBJ, Bleed. The one who waits and waits and bides his time and then… BAM!!! What happened to that easy lay-up I just had? Should be another great Finals. Do the Warriors exact their revenge with KD or, in the back of their minds, does the fact that they blew a 3-1 lead weigh on their conscience? Which would be in the best interests of the NBA , to have dynasties or rivalries ? There has been neither in true sense of the word within the league in several years. Last year’s NBA Finals was cluttered with bad officiating , which fans seem to be overlooking. You can’t tell the Draymond Green dismissal didn’t have an impact on the outcome of the series. That’s the eternal question, Al, and I think it goes in waves. Although people don’t like change, they’ll also ultimately get tired of seeing the same teams on top. I think the NBA is okay with whomever gets there as long as they’re marketable, which LeBron and Steph most certainly are. It’s never really happened in waves in the true sense of the word. There have been good teams, or great players and rarely has the NBA been in a position where they have been good teams and great players been in conjunction at the same time. It has not really happened in the last decade that’s for sure. Everyone was hoping for a dynasty with the Miami Heat and then LBJ and Pat Riley torpedoed that altogether with their falling out. The San Antonio Spurs’ consistency (nineteen consecutive playoff appearances ) and five championship wins might be the only thing worth in terms of a real legacy that the NBA can point to since 1996. So explain to me what is meant to be so appealing about the NBA at present ? Free agency has destroyed the concept of creating dynasties and in actuality, competitiveness among the teams. That Spurs run looks like it might be over, Al, at least after last night and what the Rockets did to ’em. They might wanna send up that Timmy Duncan bat signal. 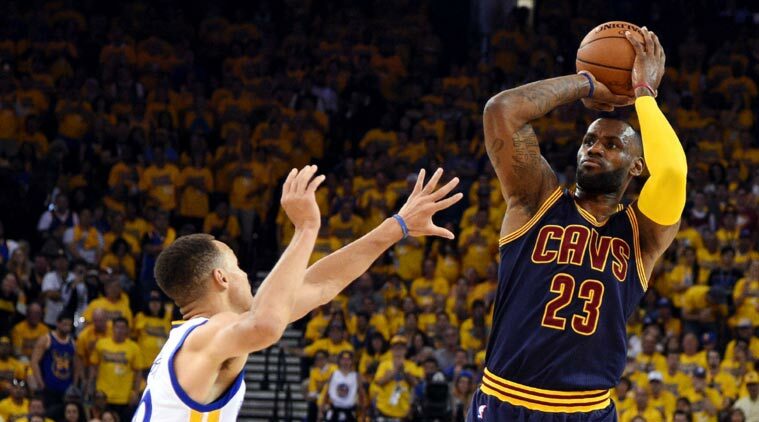 I think a Cavs-Warriors match-up is going to put records for NBA Finals viewership to the test. No matter what the ratings are for the early series a lot of casual fans are coming to their devices if these two teams get to the last round. It has the potential to be a tremendous rivalry for at least a couple years thereafter as long as LeBron’s still a Cavalier and physically capable of dragging his teammates across the finish line. I don’t think ratings have been as high since the old Lakers-Celtics rivalries for NBA Finals. I’m not sure they’ll get that high this year but at least it shows that the NBA, and its viewers, like a good rivalry.